2 Bedroom Terraced Cottage For Sale in Northallerton for Guide Price £220,000. 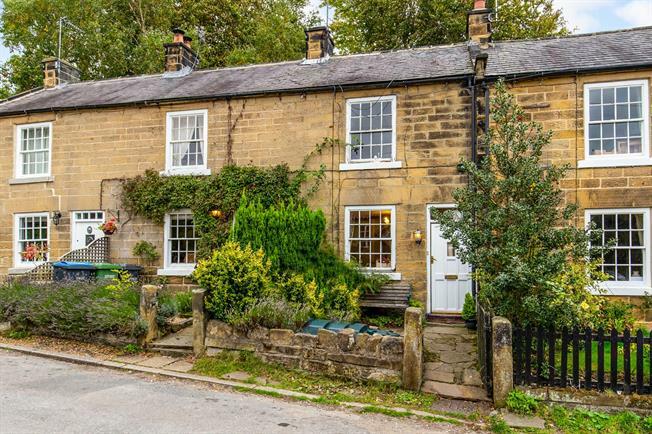 A charming grade ii listed cottage with of considerable character and situated in the sought after National Park village of Osmotherley. Retaining many attractive features with stone lintels, multi paned sash windows. Internally the property offers two double bedrooms and is well maintained but fitting to the era of the property. Externally there is a small enclosed garden to the front and a tiered garden to the rear. A massive benefit to property is that it comes with a detached garage which is particularly rare for the area. With sash window to front aspect. With polished wood flooring, feature fireplace with open fire and radiator. With sash window and door to rear access. A good range of solid wood wall, base and drawer units with granite effect work surface, incorporating a circular sink with drainer, electric oven, electric hob, stainless steel extractor, integrated dishwasher, integrated washing machine and tiled flooring. With large storage area and access to first floor rooms. Double bedroom; sash window facing the front. Radiator. Double bedroom; with attractive vaulted ceiling, French doors opening onto decking and tiered garden and Radiator. With a white suite consisting of panelled bath, low level W.C and pedestal hand wash basin and radiator.